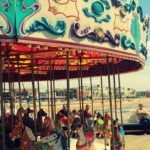 Kids of all ages love to ride on carousels. Even little babies can enjoy these rides, as long as Mom or Dad is holding them securely. 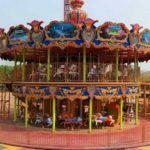 Adults can still have fun on these rides, which is why you see so many parents riding on them with their children. 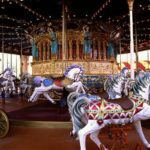 There is a reason why carousels are some of the most popular rides at many fairs and amusement parks. 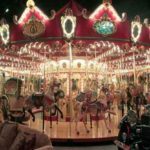 There are all kinds of different carousels available, but the classic variety has horses that you can ride on. 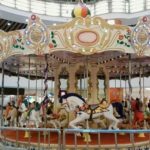 These horses are mounted on poles, and as the ride goes around and around, the horses go up and down. This way, your kids can pretend that they are really riding on the back of a horse as it gallops across the plains. Other rides may have a wider variety of seats for kids to ride on. 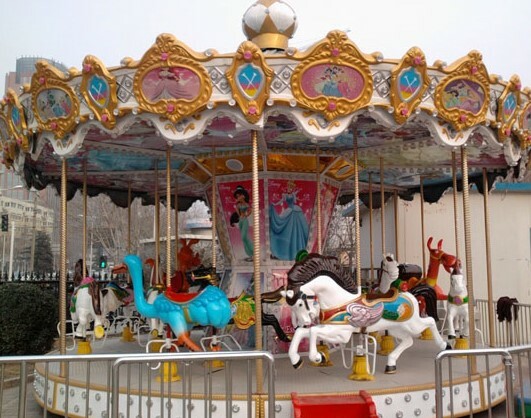 For example, some rides have themes, such as a circus or a zoo. These ones have many different animals, such as lions, tigers, elephants, and even crocodiles. Your child will love to sit on the back of one of these animals and pretend he is in a circus. As the music plays, the ride goes around and around. If you are watching from the sidelines, your child can wave to you every time that he passes you by. 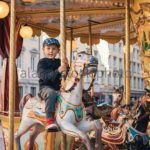 Be sure to take plenty of pictures so that your child can see what he looks like when he is riding on the merry-go-round! 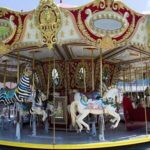 Taking your child to a fair or amusement park is a great way to create some wonderful memories that you can share. When he is older, he will love to look back at those pictures and remember what it was like to be young. Those can be some of the happiest days of his life.